A pretty white colored dandelion over colorful gradients polishes. The petals are scattered all the nails like blown by the wind. A dandelions is one of the most beautiful flowers that we can see today. It has a wonderful color and simply stands out on the field. There are a lot of beautiful flowers around the world, so what makes dandelions unique and appealing? 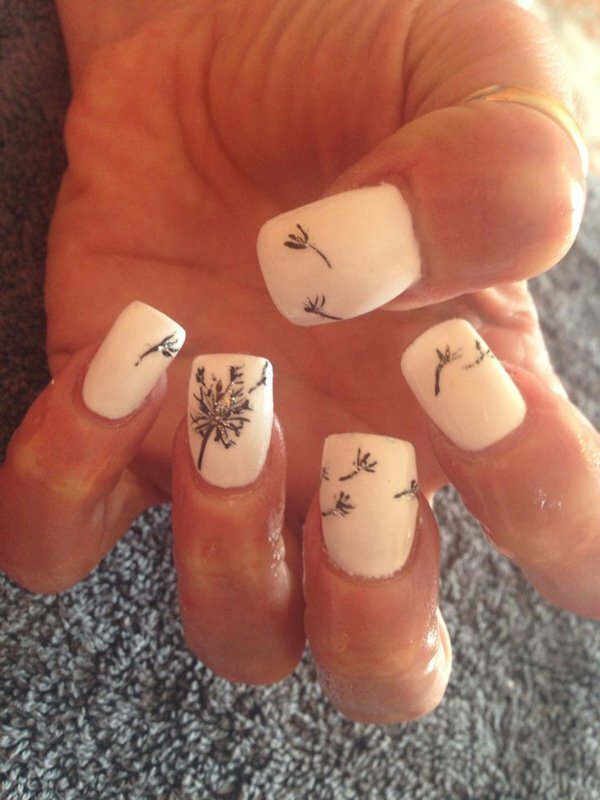 Their intricate petals or seeds as well as the nature of flying away with the wind, are often a favorite subject for art work, including nail art designs.